Travel operator TUI is to come under pressure from the animal rights action group PETA (People for the Ethical Treatment of Animals) over its continued sale of tickets to SeaWorld attractions in Orlando, Florida, and San Diego, California, with the activist organisation buying shares in the company ahead of its annual general meeting next month. PETA US has become a TUI shareholder and plans for its representatives to attend the meeting in Hannover, Germany, on 12 February. At the meeting, its representatives will speak to other shareholders and executives, and call for TUI to stop selling tickets to SeaWorld. PETA alleges that 41 orcas and “countless” other animals have died “on SeaWorld’s watch - far short of their natural life expectancies”. 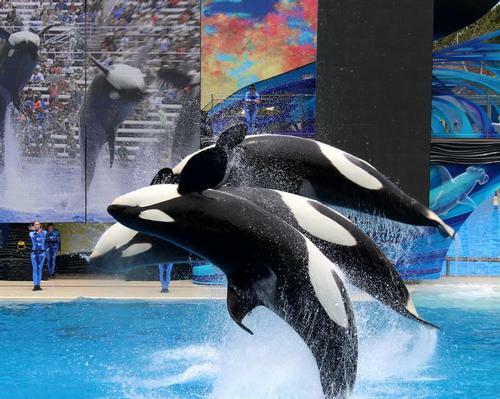 Fellow travel firm Thomas Cook has already bowed to pressure from PETA, saying it would stop selling tickets to all parks that kept orcas in confinement from summer 2019. In a statement, Elisa Allen, PETA director, said TUI must follow this example if it “hopes to maintain a shred of credibility with animal-loving holidaymakers”. “As a shareholder, PETA US will be able to push TUI’s management to do the responsible thing for shareholders and animals alike and cut ties with SeaWorld,” she said. The pressure group said that, in the ocean, orcas form complex relationships, work cooperatively to find food and travel up to 140 miles every day. It said that those kept at SeaWorld are housed in incompatible groups in small tanks and are drugged with diazepam to manage stress-induced aggressive behaviour. PETA and affiliate groups began a campaign against TUI in October 2018, protesting outside TUI locations in the UK and Germany, and prompting more than 75,000 people to write to the company and urge it to stop the ticket sales, as companies such as STA Travel and Responsible Travel already have. “TUI is aware of the PETA protest and we understand the debate surrounding Seaworld and Loro Parque,” said the company in a statement to Attractions Management. “We’re committed to working only with excursion venues that agree to uphold the ”Global Welfare Guidance for Animals in Tourism" as formulated by the Association of British Travel Agents (ABTA). The two venues we feature are subject to an extensive and independent animal welfare audit programme to ensure that they are upholding global animal welfare standards. We’re in discussions with both venues to elaborate on ways to further improve animal welfare and address the issues of concern. SeaWorld was the subject of a 2013 documentary, Blackfish, which detailed its alleged poor treatment of orcas, and led to a number of years of poor visitor numbers. These have only recently shown signs of recovery, with the operator taking significant steps to improve its public image.